Watching a snail right itself is pretty cool, but have you ever seen a Fungia flip itself over? Check out the must-see footage! Pim Bongaerts is a coral biologist at the University of Queensland, AU, with an intense curiosity about everyday events on the reef, such as how certain corals survive burial in sand or being flipped up-side-down. 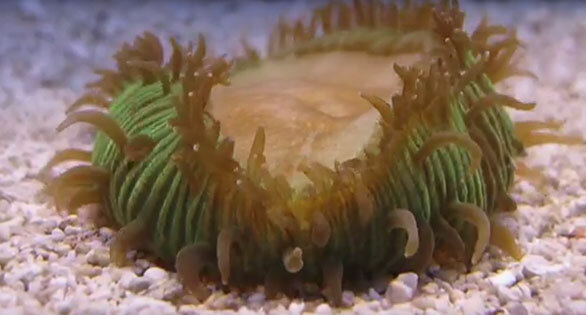 bioGraphic Magazine, powered by the California Academy of Sciences, has just released some of his amazing time-lapse video footage of coral behaviors. CORAL Magazine Editors’ Choice videos. Learn more about bioGrahpic Magazine here.